Deal Physical damage to target enemy. If the Scimitar is Stealthed, remove 80% Turn Meter and lose Stealth. Stealthed allies have +30% Offense. In addition, whenever an enemy Reinforces, the Scimitar inflicts Target Lock on them for 2 turns. 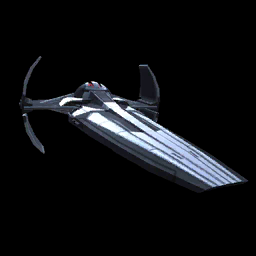 Enter Battle: Grant all allies +25% Critical Chance until Scimitar is defeated, doubled for Sith allies. Target ally gains Protection Up (50%) and Retribution for 2 turns. If target ally is Sith, they also gain Critical Hit Immunity for 2 turns. All other allies gain Stealth for 2 turns.